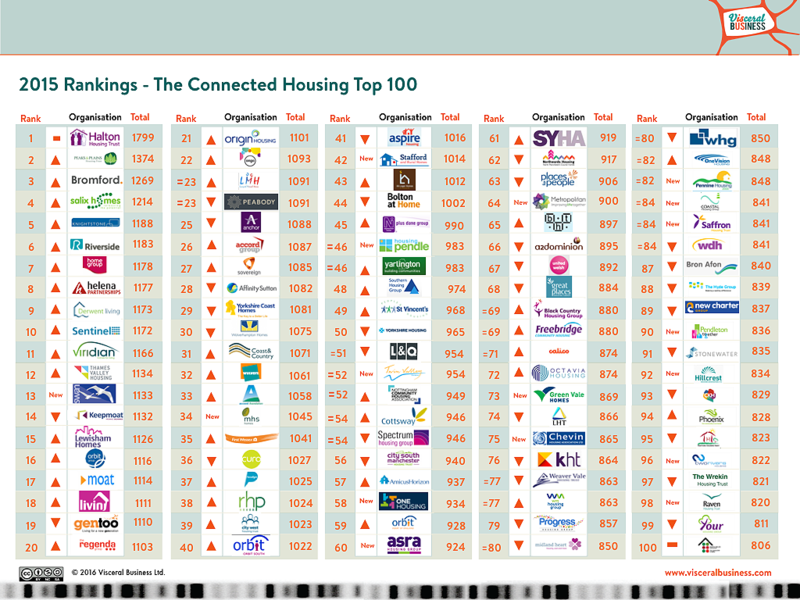 For the third straight year, Halton Housing Trust are at the top of the Connected Housing Top 100 Index. Congratulations to everyone at HHT. Here’s the Top 100 summary. If you’d like to find out more about work, just drop us a line.